To say I am completely, without a doubt, 100% obsessed with this dress would be an absolute understatement. As you may remember, this is one of the dresses I styled for the April 2014 Teen Vogue prom feature (click here to see how I styled it before). And while it was in my possession for those three short days in January when I was shooting the feature, I literally lusted over it the entire time. Needless to say, when Erin Fetherston approached me to style more looks for her ERIN SS14 collection, there was no way I was going to pass this dress up. The styling potential this dress has seems to remain boundless, but one factor always stays constant - the element of fun. Every time I put this dress on, the possibilities for that day or night seem endless and exciting. Plus, it has pockets! And, now tell me, who seriously doesn't love a dress with pockets? 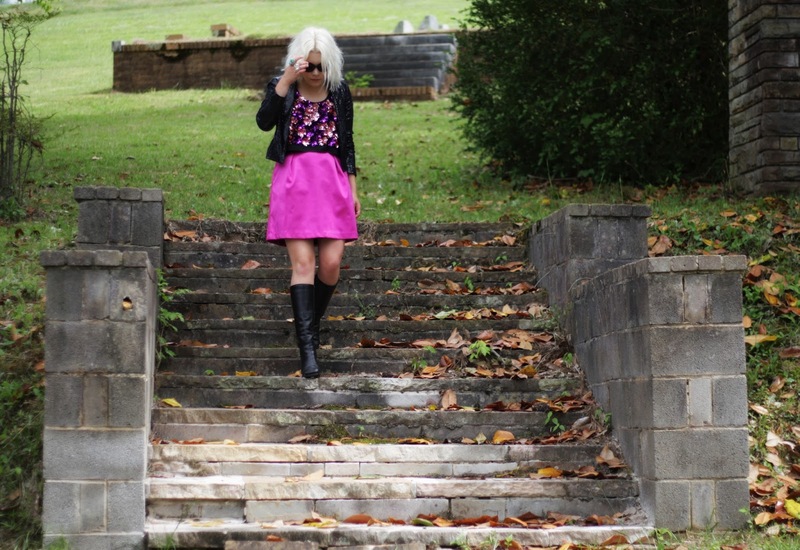 For round two, I paired the dress with black leather go-go boots, for a bit of a mod vibe. 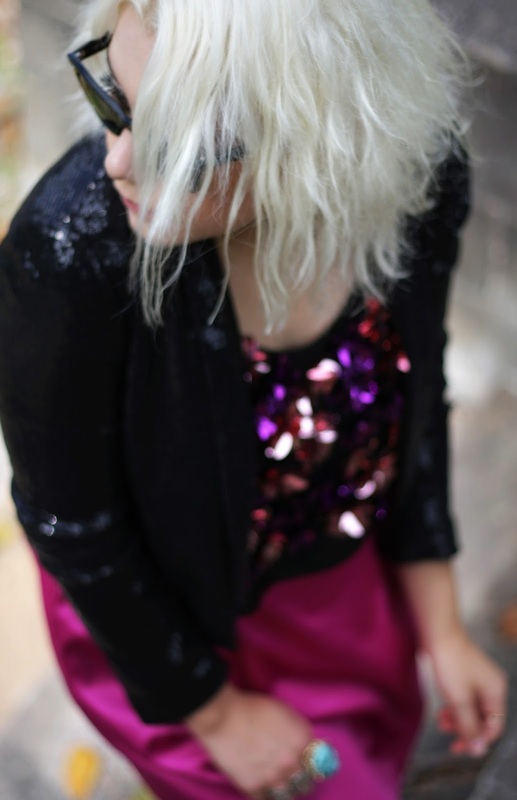 Atop the dress, I kept up the sparkle and added a black sequined blazer. And for the final rockstar touch (because, let's be real, this dress makes me feel like a rockstar), I added some killer, jet-black shades.